When you talk to hunters who are fans of archery whitetail hunting, they all love to speak of that moment when their skill resulted in an arrow finding its mark. Unlike gun hunting, bow hunting requires the hunter to be closer to the deer. There is less forgiveness in the hunting strategy, because the bow hunter often only has one chance to strike. That means the serious bow hunter must pay close attention to a lot of details in preparation for, and during, hunting season. 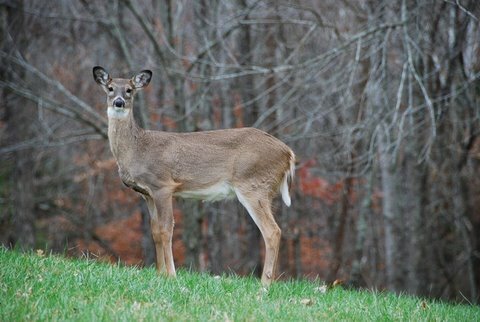 When it comes to locating the best deer hunting spots there are several commonalities between bow hunting and gun hunting. Deer like watering holes in some parts of the country and these kinds of spots make great hunting locations for all kinds of hunters. Knowing the bedding and feeding areas will be one of the most important tasks you can do to get ready for the season. But bow hunting season is earlier than gun hunting season, which means the bow hunter must learn to hunt bucks that are slow moving or barely moving at all. This requires much different hunting techniques than hunting with a gun during a cooler and more active rutting season. Where I hunt in New York State not only do I scout before the season but I do a fair amount during the first part of the season to get ready for the rut. I also use several trail cameras in areas I have done well in the past. I have 300 acres of hardwoods that I'm the only bow hunter so that helps me as well. During Archery season I do a lot of scouting on rainy days instead of hunting. You do not hunt on those days because of losing a blood trail in the outside chance you have a bad hit. I do so because the woods are quieter to walk in and your scent is held down and washed away. You still need to move careful during these scouting trips. 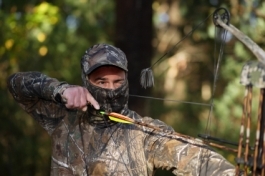 Archery hunters should practice their bow and arrow shooting in circumstances similar to where they will be hunting. There are dozens of different kinds of bows and arrow tips, so you need to be thoroughly familiar with the ones you choose. Understanding exactly how the arrow will fly is important for increasing accuracy during hunting season. In addition, you must make sure your bow is correctly tuned before you go on a deer hunt. As a bow hunter needing deer to get as close to you as possible, there is no leeway when it comes to making noise. You can't test and tune your bow in the field so being prepared ahead of time is critical. One of the most important steps a bow hunter can take to increase the odds of experiencing a successful hunting season is to practice shooting from all kinds of positions. Practicing shooting at targets while standing at a specified distance is not enough preparation for field hunting. You should practice shooting from all kinds of angles and positions. You cannot predict where that big buck or doe will approach your stand or location from, so you need to be ready to shoot a bow sitting, standing, downward or while twisting. Some hunters are devoted to archery whitetail hunting, because they consider it to be the ultimate hunting and sporting challenge. To be successful you must put in the time before going afield and then going in the field long before the season to scout the area you will hunt. 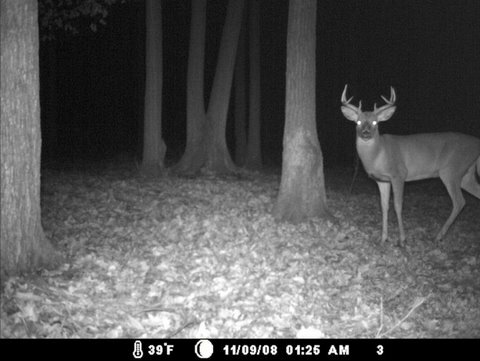 The picture of the Buck below was taken on one of my trail cameras during the Archery Whitetail Hunting Season. Notice the time of night and the temperature. I have several cameras I use well before the bow season, during and then after the season. You need to keep track of the information you get from the cameras. This information will help a lot.